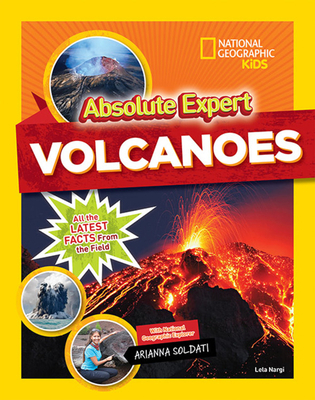 National Geographic Children's Books, 9781426331428, 112pp. LELA NARGI writes about science for kids for publications like Muse, Science News for Students, and Highlights. She's also the author of The Honeybee Man, a picture book about an urban beekeeper that takes place in her home borough of Brooklyn, New York, and Above and Beyond, a middle grade companion book to the exhibit of the same name that originated at the Smithsonian National Air and Space Museum, about the history and future of flight. Contributor and expert ARIANNA SOLDATI was born in Milan, Italy. By the time she turned three, she was already hooked on volcanoes -- and she still is! She is now a Ph.D. candidate, a.k.a. a volcanologist in training, at the University of Missouri. While studying lava flows, Soldati got the chance to do extensive field work all over the world (from California to Central America to the Indian Ocean), sometimes witnessing volcanic eruptions as they occurred. She also spends a lot of time in the laboratory making her own lava (aka remelting rock samples) and sharing her findings with both other scientists and the general public.